The bib on the luxury marcella bib front shirt is too shot by about 4 cm. It would only look good with high waisted pants or a cummerbund - which I don't wear. 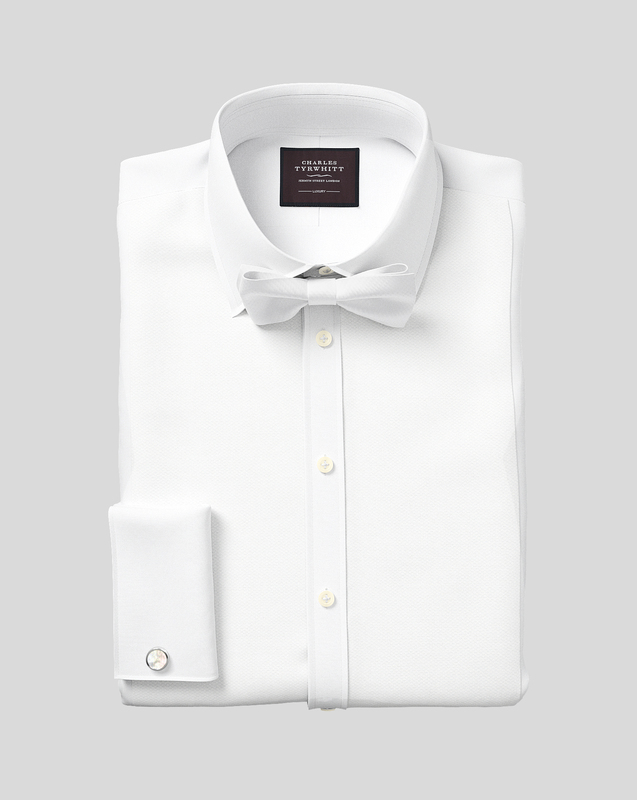 Response from Charles Tyrwhitt: It is a shame this lovely evening shirt wasn't quite perfect for you. They are indeed designed to be worn with a cummerbund in the traditional style, so I am sorry if this presents a problem. We appreciate your feedback on this and I'll be sure to share it with our Products Team. As with all our products, you have a no quibble 6-month guarantee should you decide to return it to us. It was as expected and fitted well. I bought this to replace a similar shirt which I have had for some years now. The quality is nowhere near as good - the Marcella bib is a much smaller strip than the one I have (presumably that is cheaper to make), it comes with buttons which I will have to remove so that the studs fit, and the cloth feels thinner than the previous shirt. Very disappointing, but as I will wear it about 10 or 12 times a year not worth going out to find another now. Response from Charles Tyrwhitt: Our Marcella evening shirts have long been very popular with our customers, and they really add a touch of class to the wardrobe for those special occasions! I was very sorry, however, to learn you have not been pleased with your latest purchase. In regards to the buttons, these are designed as an either/or option - studs can be added over the buttons to hide them, or the shirt can be used without studs if preferred. While I can assure you that quality in our products is paramount to us at Charles Tyrwhitt, I will absolutely ensure your concerns are raised with the Products Team who will review them accordingly. In the meantime, you are welcome to return the shirt to us for an exchange or refund under our no quibble guarantee.